Introductory page to the Diptera (Flies, gnats and mosquitoes). 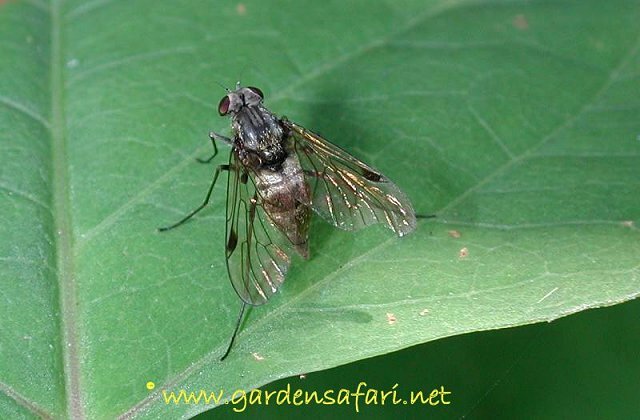 Flies and mosquitoes are remarkable insects: they are very good flyers, yet have one pair of wings only. The other pair has almost disappeared, but can be seen as two little knobs on a stick at the sides. They are used for balancing during flights. There are some 120,000 species known, including the most common 'pet': the Common House Fly. Many more species still fly about undiscovered. Some experts believe that there may be well over 1 million species. All diptera belong to those insects that must go through all stages of development: egg-larva-pupa-adult. The larvae, of many species just called maggots, often look like worms and bear no resemblance to the adults. 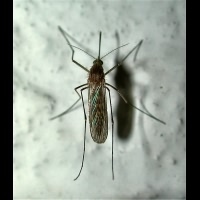 Mosquitoes, gnats and Crane Flies are rather primitive flies. They have been placed in a suborder of the Diptera. Main characteristic of the entire group is the shape of the antennae. Usually rather long, segmented and very thin. Only the males of some species have plume-shaped antennae. Not all species look like a typical gnat. Crane flies for instance are very big and the St. Mark's flies are black and look like common flies. 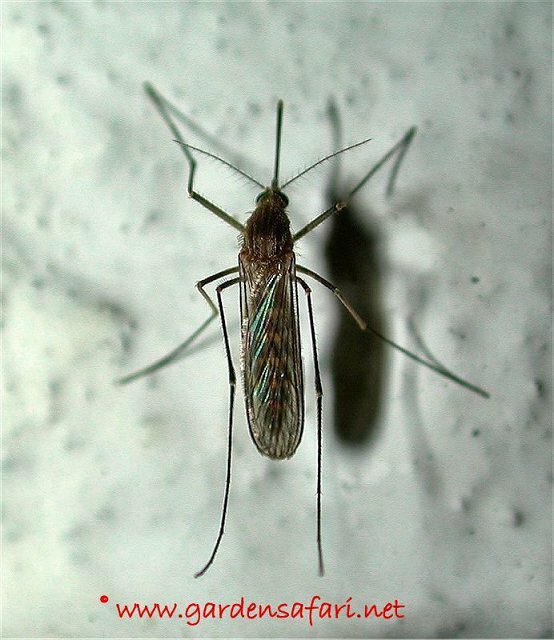 A few species are a (dangerous) nuisance to mankind, such as the mosquitoes, which may transfer diseases such as malaria, yellow fever and dengue. 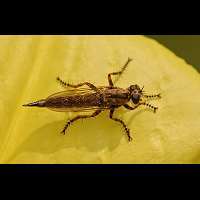 Robberflies, Stiletto flies and Dance flies are not closely related at all, but they have some chracteristics in common. They are all elongated, slender and rather big flies. 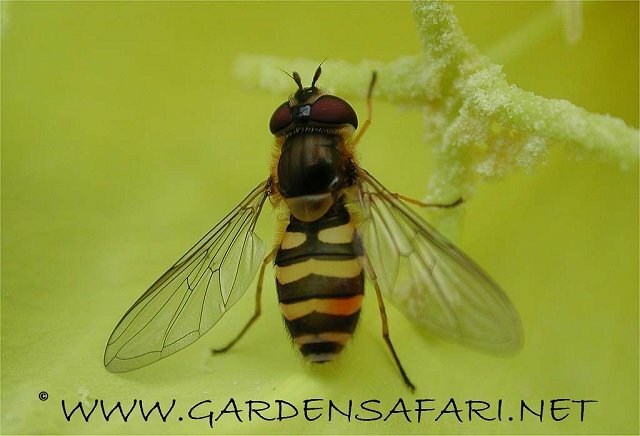 They all hunt for other insects, especially other flies, which they usually attack in flight. And many species are regularly seen in gardens, parks and forests. Some Stilettoflies have a very big snout, but none of the species is capable of biting a human. 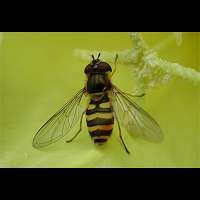 Hoverflies, known as Flower Flies in Northern America, are good flyers, even capable of flying sidewards and backwards. In summer numerous species turn up in gardens visiting flowers and mixing up with butterflies and bumblebees. Many species have wasp like colours (black with white or yellow patterns). The dull brown drone flies actually belong to the hover flies as well. There are a lot of species of hoverflies and sometimes you need to look at minute details to be able tell one species from the other. This may involve catching one in your hand. But you can do so safely, for no hover fly is capable of biting humans. And they can't sting you either, for they have no stinger at all. Of course to most people houseflies are the real flies. A rather short, plump and rounded body. Actually their are various families of flies looking like that. And in each family there are numerous very similar species. In some cases it is even hard to determine which family a fly belongs to. 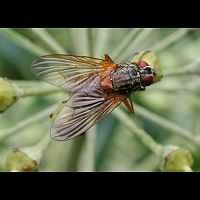 Houseflies, Root-maggot flies, Bluebottles, Greenbottles, Blowflies and Fleshflies all belong to this group. Here a mishmash of flies we haven't dealt with before. They neither look like another, nor are they closely related. Some look like wasps, such as Thick-headed Flies, others look like gnats, such as the Long-legged Flies. 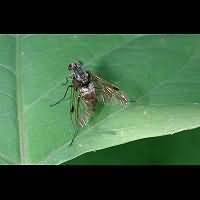 The Parasitic Flies are a large family of usually very hairy flies. 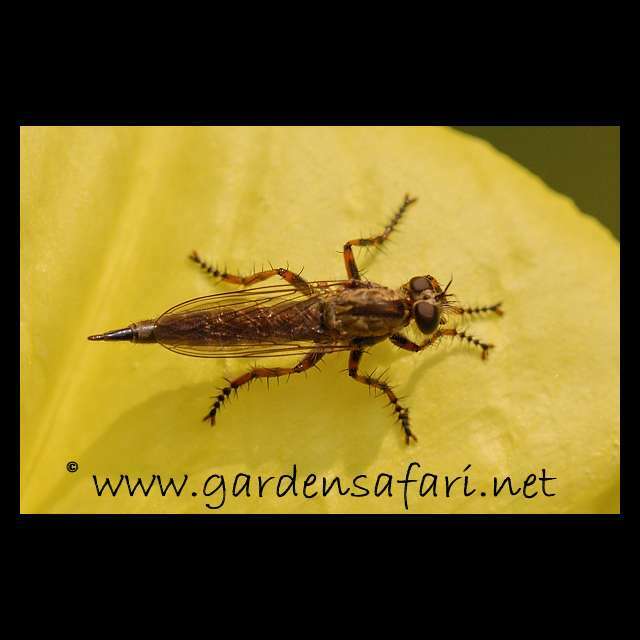 The Soldier Flies are almost hairless, but have beautiful shiny colours. 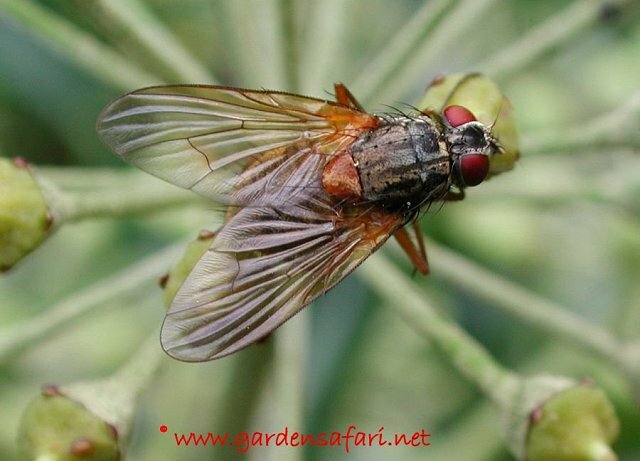 The Horse Flies are notorious, for their bite is very painful.